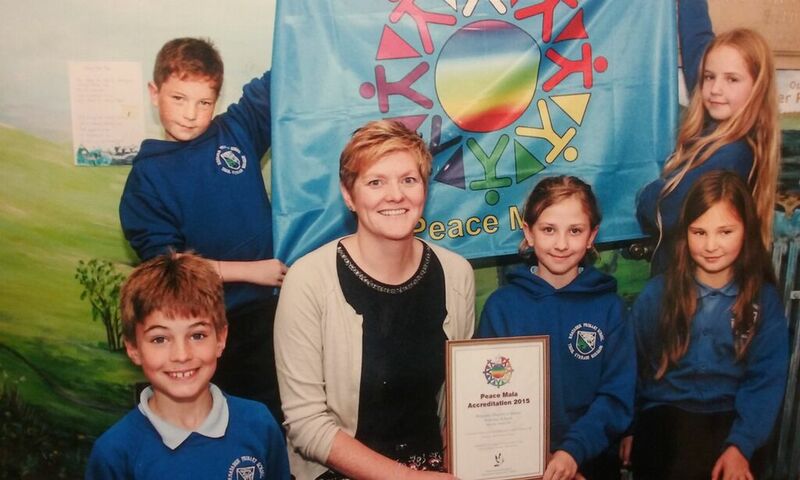 We are pleased and proud to announce that Rhayader Church in Wales Primary School is the first school to achieve the Peace Mala accreditation. 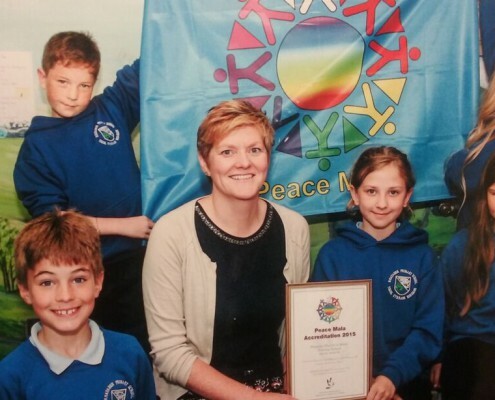 In September 2015, the school received the Peace mala accreditation. 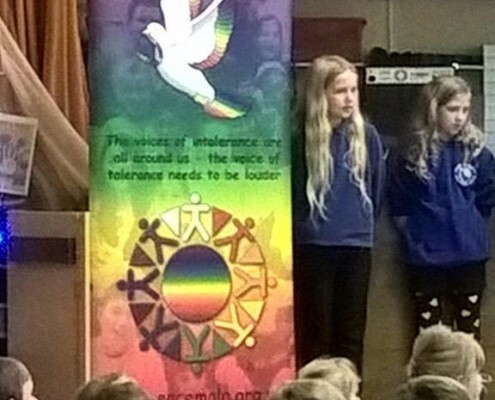 Following the section 50 church inspection in January 2014, where the school was praised on its ethos of inclusivity and how the children treated others with respect, the school was encouraged to aim for the Peace Mala award. The Peace Mala award looks at different religions and the promotion of tolerance and understanding of other and their beliefs. The school council has developed a Peace mala Garden, which is a quiet space decorated with dream catchers (made by the pupils) and inspirational quotes all written by the pupils. The area is used for the children to take time out if they are feeling upset or cross due to others actions and the older children help others resolve any conflicts. 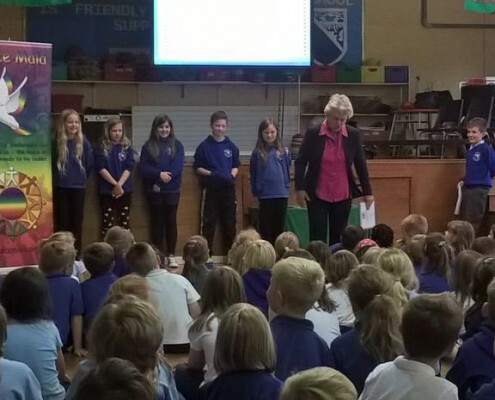 The whole school community understands that they need to treat others as they themselves want to be treated. That is the golden message of the Peace Mala. The Year 5 and 6 children have studied many religions and discovered that this is the message of every religion even if the beliefs are slightly different. 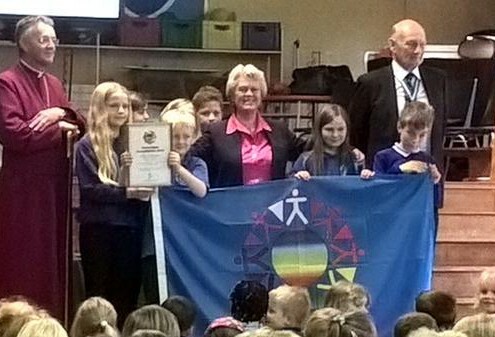 The school through the Peace Mala award tries to educate the pupils to celebrate what makes people different from each other. 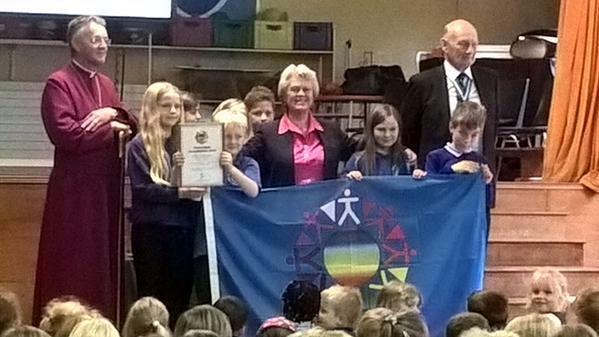 It is our vision for the future that the children will help create a more tolerant and peaceful world in the future. 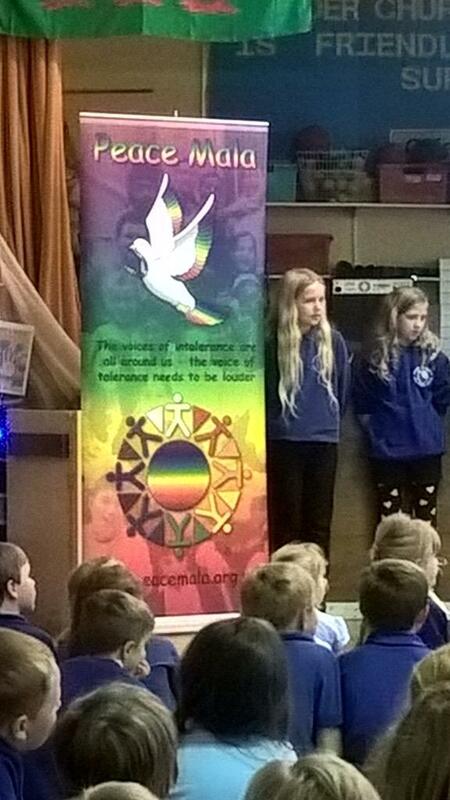 The school has re-written the RE scheme of work around twelve values that link with the Peace Mala. 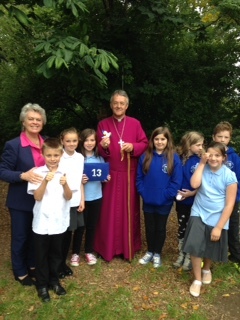 The work produced by the children is inspirational and has been praised by visitors to the school. 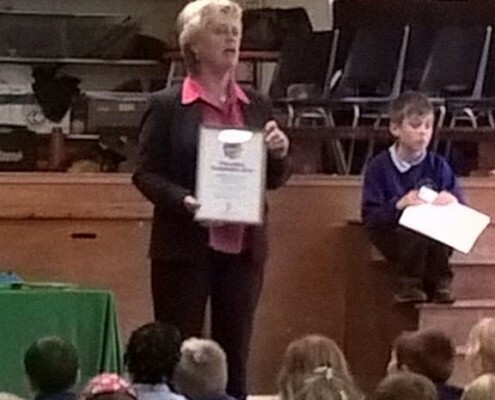 The award celebrates the creative and innovative teaching happening at Rhayader school. 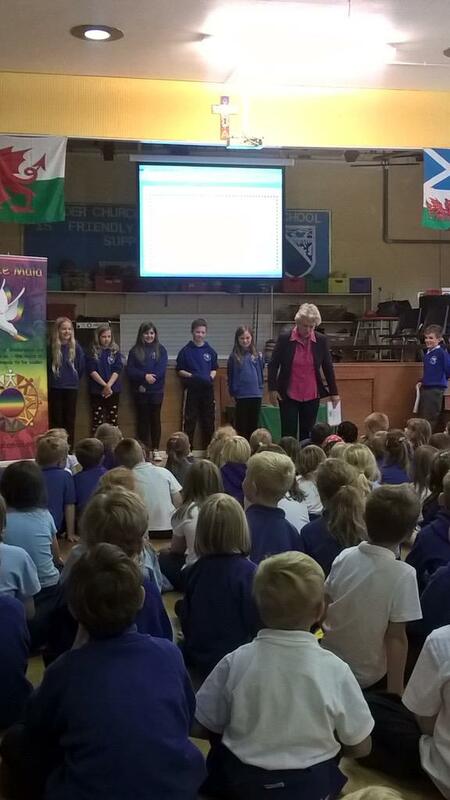 The Peace Mala was born in a classroom in Coedcae School, Llanelli, Wales UK. 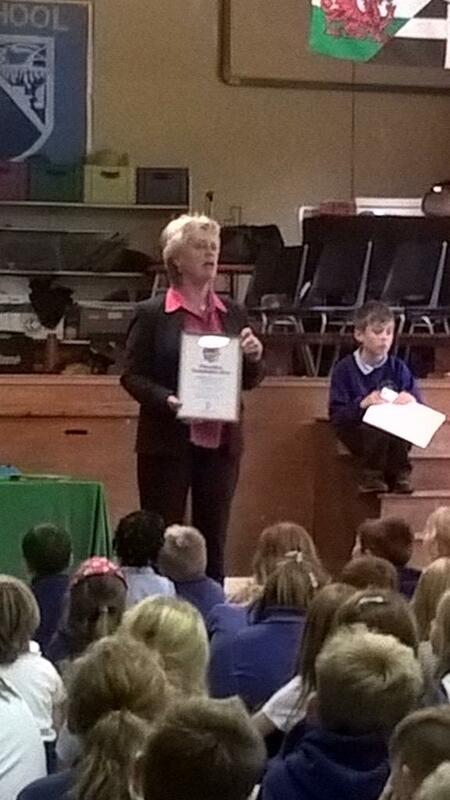 Pam Evans, Head of Religious Studies and her pupils were discussing the terrible events of September the 11th. During the discussion in the classroom, they realized something needed to be done to combat prejudice and religious intolerance. The rise in Islamaphobia in the world was to be expected, as a response to the attack. What was more shocking was the rise in fundamentalism, racism and prejudice, that we are faced with today. The Peace Mala bracelet was created as a simple representation of the world’s religions living alongside each other in harmony. Every year in the Autumn Term, Rhayader Church in Wales Primary School Year 3 children, make the Peace Mala bracelet as part of their RE work.